Refresh yourself with our special public baths! 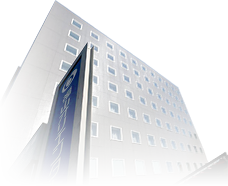 The Fukuyama Oriental Hotel, located within a two-minute walk from JR Fukuyama Station, is the only budget hotel in the area that has large public baths. You can unwind immediately after your long journey by bathing in our spacious bathtubs. Experience the Japanese public bath culture here. Our public bathhouse “Fukuno-yu” on the second floor has spacious bathtubs for male and female guests. Inside both the men’s and women’s areas, there are various small hot tubs, “Tsubo-yu", in addition to a large one. It is open until 2:00am so you can enjoy the hot tub even if you return to the hotel late at night. “Tsubo-yu (small tubs)” are made in Shigaraki-ware style, one of the famous pottery styles in Japan. They are “kakenagashi-type” baths, where bath water is always running and not reused. So you feel as if you are bathing in a luxury hot spring. There are three kinds of “Tsubo-yu” in the male area and two in the female one, so enjoy different types of small baths in addition to the large shared bathtub. A popular hot tub where lees left over from the production of “Homeishu,” a specialty from Tomonoura, Fukuyama, is added into the water. The lees contains ingredients to make your skin beautiful, to support your metabolism and to warm up your body from the core. So the water helps to ease the sensitivity to cold, skin problems, leg swellings and fatigues. 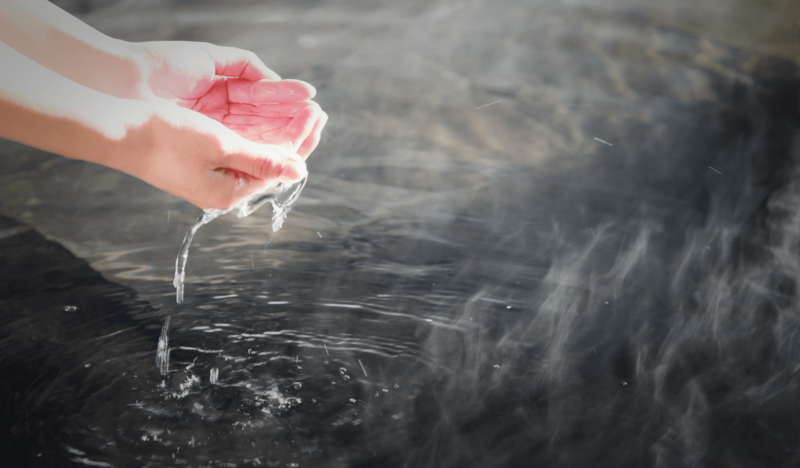 The whiteness of the water is caused by hyperfine bubbles. Mild impacts caused by popping of bubbles bring excitement to the body, which is said to promote blood circulation and clean the dirt clogged in pores. Germanium allegedly helps to quickly bring oxygen to cells, as well as facilitating metabolism and blood to run effectively. It is thus expected to promote blood circulation, body sweat, detoxification, and also to ease stiffness. It is switched to a cold-water bath in the summer time. The changing rooms as well as the public bathhouse as a whole are kept clean and bright. The bathhouse is highly secured to make our female guests feel safe and relaxed. Please place your personal belongings to the locker and lock it with the key. The women’s public bath area is only accessible with the special IC card. Changing rooms are always kept clean to make our guests feel comfortable and relaxed. The room is also air-conditioned. An array of makeup remover and other basic skin care products are available in the changing room of the female bath area. All toiletries including shampoo and shower gel in the public bathhouse are quality products of Japanese manufacturers.